Without the exact conditions required, biodegradable plastics can take years and years to biodegrade – much like regular plastics. In the meantime, they will probably become litter or be dumped on landfill. In the best case scenario, these plastics will begin to degrade. However, degraded fragments could still be an environmental nightmare. Fish and marine life alongside birds and animals on land mistakenly consume plastic fragments, thinking they are food. Animals have also been known to get tangled up in discarded plastic, which could happen if the plastic is either whole or partly degraded. Realistically speaking, however, the majority of biodegradable plastic isn’t going to degrade if it requires high temperatures or oxygen to do so, because most of it will end up in our seas or on landfill, where it will be buried for many years. 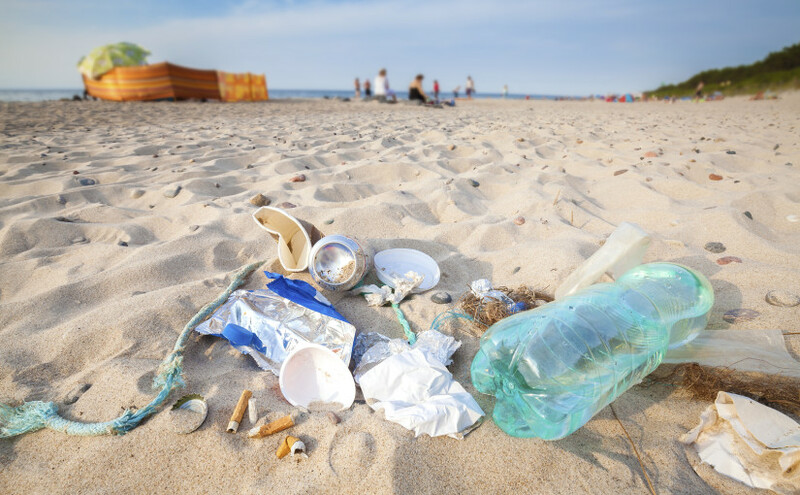 Biodegradable plastics are no better for the environment than regular plastics – in fact, the biodegradable plastics have chemicals added to them to speed up their breakdown process. So, whilst regular plastics leech chemicals into the environment, these plastics will no doubt leech more. All biodegradable plastics emit CO2 as they degrade, and hydro-biodegradables can also emit methane. So, these biodegradable plastics aren’t recyclable – they truly are single use – and they are unsuitable for use on compost too, despite some confusion over that due to the name ‘bio’. The only way forward is to continue to cut down on our plastic use; something that seems to have worked very well in supermarkets with the fairly recent introduction of the 5p carrier bag charge in the UK. In an ideal world, reusables are the answer, however we are living in ‘disposable’ times, so the best we can hope for any time soon is a reduction in plastic, and replacement of it, where possible, with safer and easily recyclable materials such as paper and cardboard. The very fact ‘biodegradable’ plastic has been invented shows willing to change, however it is sadly not the answer we all hoped for. Previous Previous post: Beat Food Waste with your Freezer!